The indicator called initial balance (sometimes referred to as initial range or opening range) ranks among our favorite tools. There are several reasons for it. However, the most important are the following: simplicity, great risk-reward ratio and the rationale demonstrating that markets behave like living organisms. In our article, we are going to explain the term initial balance and tell you when and how to use it. What is the initial balance? Initial balance means the first or first two half-hour trading periods of the trading day. As to shares, it is typically the first hour of trading. Initial balance can also be used for forex, open non-stop from Monday to Friday. It depends on the forex market hours shared by London, New Your, Sydney, and Tokyo. 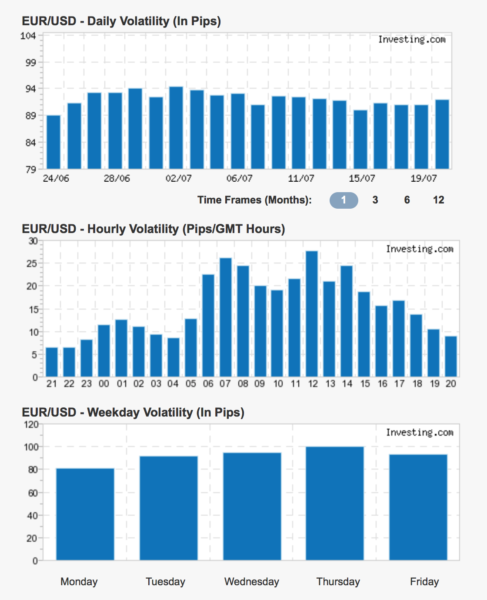 As to the most popular currency pair EUR/USD, from the European perspective, you can see at last two initial balances. The first one is a quiet Asian session. It affects the market from 1:00 till 9:00 am and, at the stroke of 9 o’clock it hands over to London. 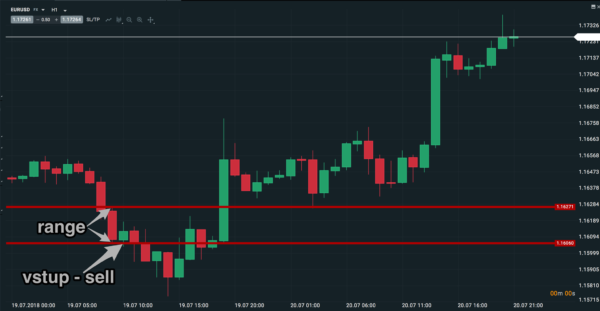 You surely noticed that at night the trading activity of the EUR/USD currency pair was minimal, even though this less active period can be used for analyzing future movements. The first hour of trading in the London zone i.e. from 9:00 to 9:59 am is used by traders more frequently. Now, we are viewing initial balance from the perspective of a day trader. Initial balance forms after a period when the market is closed, for instance, the first two days after a weekend – Monday and Tuesday. Medium-term investors may take the initial balance from the first week in the month while long-term traders may use as a representative period for the whole year the initial balance from January. The market is like a living organism. No wonder, it’s people who make up a market. Imagine that you face a hard business day. How will you start? You will get up pretty soon and try to stick to your plan. On the contrary, if you are expecting a less hectic day you will start your day at a slow pace. Similarly, when you wake up a bit later your start might be somewhat chaotic. As you can see, the first or two first hours after waking up predetermine the whole day. It’s the same with markets. First of all, perform a backtest. One of the options is strategy tester. Well, let’s use the most typical initial balance, the EUR/USD currency pair at the time from 9:00 to 9:59. Draw the high and low for this period in a chart. Then, measure the range to see immediately whether you are above or below a daily average (ideally, use your own data, but you can also use data from a broker or some third-party statistics such as https://www.investing.com/tools/forex-volatility-calculator where you can find daily averages for a particular instrument). Once you draw the range in your chart, you have two options. With the market getting closer to the limit, you will start speculating on either a break or bounce. Generally speaking, if the range is small it is likely to be broken. If it is big, the market (perhaps exhausted after the initial period) may now be too weak to break the limit. Alternatively, the break might be equally aggressive. Levels created by initial balance are a good indicator, but they will not tell you what’s coming next, a break or bounce. You have to wait until this is confirmed on a candlestick pattern or by another technical or fundamental indicator. Initial balance is one of my favorite trading strategies. 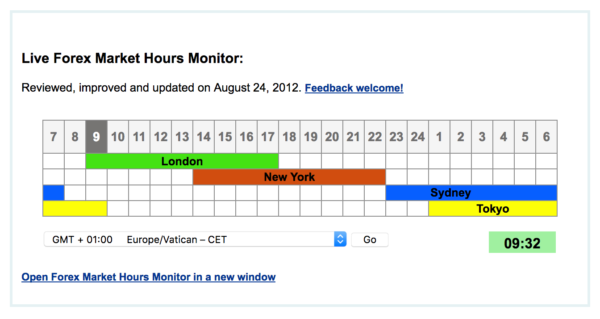 I recommend you to watch the values and times. If you find a suitable setting on the backtest you can attempt blind trading. (My tip is to use a fixed stop loss and take profit for instance 10, 20… with both take profit and stop loss based on daily range). Then you should expect the risk-reward ratio of around 60% and 50% respectively. After hundreds or thousands of hours spent over the chart, you will better understand what you might expect next time. Balance trading is not an exact method, at least it will help you filter trades based on your past experience. Anyway, such a fixed trade has a fixed profit and loss (take profit: stop loss). The initial balance-based trading strategy can be used for both forex trading and binary options. Naturally, the strategy can be applied to other currency pairs than just EUR/USD and without problem also to shares. In the beginning, I recommend you draw the high and low levels. Next, you can use data from historical testing or add one more pattern. Another level of using initial balance is to employ Fibonacci lines and… (to be continued in one of our next articles).